The Homestead Pool is open Tuesday through Sunday. 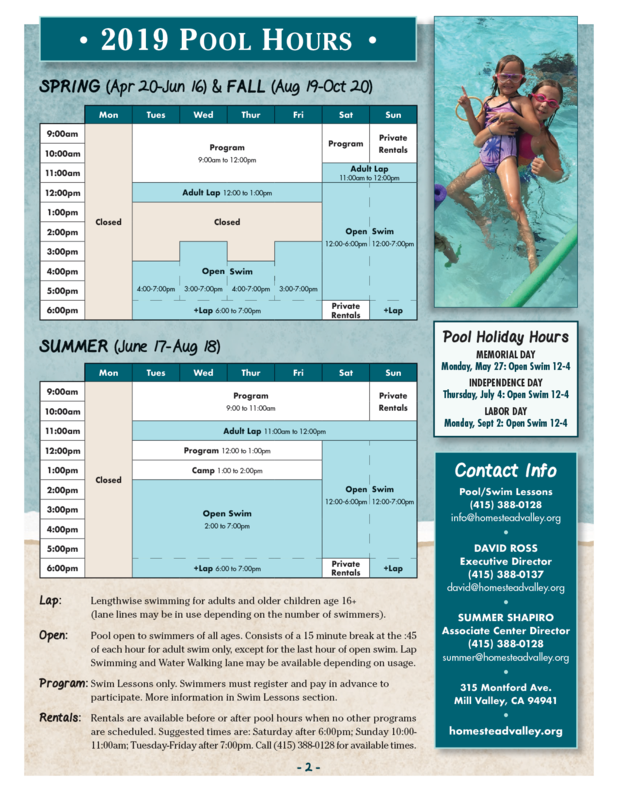 We are open to Homestead residents and the general public, either by seasonal membership or gate fee per swim. Membership provides priority usage on busy days. Homestead Valley residents receive reduced fees on both memberships and daily gate fees. The Pool is closed on Mondays.